This book is on order but hasn’t arrived as yet. 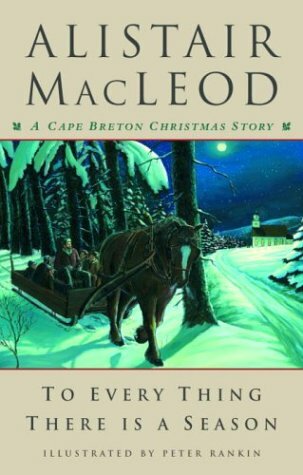 However, I do want to include some Canadian Christmas books while there is still time to order. I will add a review as soon as it arrives. 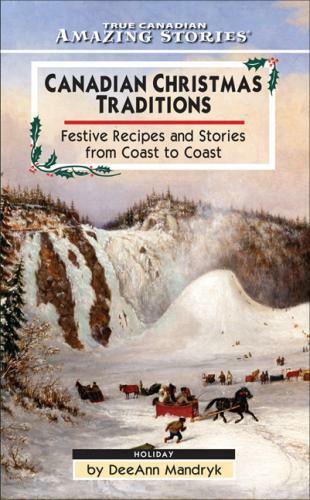 Included in this book are 28 traditional recipes by Chef Jeff O’Neill, showcasing Canada’s multicultural heritage, plus a special section of 18 Christmas recipes from across the country, highlighting Canada’s regional diversity. The origin of a Canadian Christmas is a fascinating blend of different traditions and festivities. The stories behind the celebration originate from around the world, and paint a wonderful picture of a season of joy, faith, superstition, and celebration stretching back over thousands of years. Note: Amazon only carries a hardcover edition of this book for a very expensive price. However it is available in e-book format for $7.95 CAD from the publisher, James Lorimer & Co.
“But even as the darkness and chill settle in, there is a glimmer of hope, a feeling of growing excitement. For the start of winter also means the beginning of the Christmas season, a time of celebration that goes back to the earliest days of Canadian settlement and far beyond.” This book contains selections from the following Amazing Stories: Christmas in Atlantic Canada, Christmas in Quebec, Christmas in Ontario, Christmas in the Prairies, and Christmas in British Columbia Christmas is a time for celebrating with friends and family and for sharing stories, memories, and good cheer. This compilation brings to life the very best holiday stories from across Canada. From the early days of exploration to the modern day, and from heartwarming inspirational tales to dangerous escapades, this is a collection to treasure for many years to come. It is only available as a hardcover edition from James Lorimer & Co. as well. “Every year, he put on the red Santa suit. Every year, there were more sick and needy children to attend to. And every year, as word of his activity spread, Jimmy collected more money and gifts to distribute.” This book will be especially fascinating for all readers interested in: history and human interest stories. Christmas is a time for celebrating with friends and family and for sharing stories, memories, and good cheer. 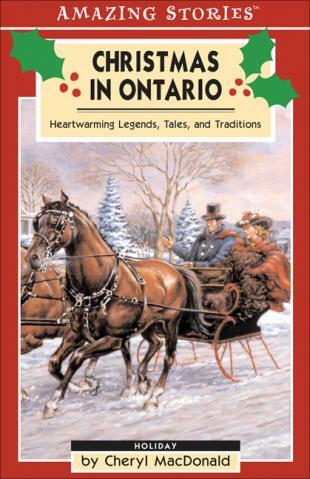 This compilation brings to life the very best holiday stories from across Ontario. From the early days of exploration to the modern day, and from heartwarming inspirational tales to dangerous escapades, this is a collection to treasure for many years to come. Available in e-pub format, James Lorimer & Co. The story is simple, seen through the eyes of an 11-year-old boy. As an adult he remembers the way things were back home on the farm on the west coast of Cape Breton. The time was the 1940s, but the hens and the cows and the pigs and the sheep and the horse made it seem ancient. The family of six children excitedly waits for Christmas and two-year-old Kenneth, who liked Halloween a lot, asks, “Who are you going to dress up as at Christmas? I think I’ll be a snowman.” They wait especially for their oldest brother, Neil, working on “the Lake boats” in Ontario, who sends intriguing packages of “clothes” back for Christmas. On Christmas Eve he arrives, to the delight of his young siblings, and shoes the horse before taking them by sleigh through the woods to the nearby church. The adults, including the narrator for the first time, sit up late to play the gift-wrapping role of Santa Claus. Do have a very Merry Christmas!